An important part of helping people with ADHD manage their symptoms is to learn what is happening inside the brain. While most research does focus on treatment, more attention is now being given to the causes of ADHD and how the ADHD brain differs from the brain of a healthy person. 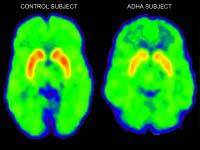 What is different in the ADHD brain? What happens in the brain when symptoms occur? Can we change brain irregularities? In children who have ADHD, researchers have found that two key brain areas do not seem to connect. This occurs when children are given a task to measure attention. When the researchers looked at brain activity via electrical rhythms in ADHD children, they noted that there wasn’t a connection between the part of the brain used for attention and the visual processing areas. To do the experiment, scientists gave children a test where they were shown a red or blue image and heard a high or low noise. Children had to react by pushing a button. Right before administering the test, the children were shown one of two things. They were either shown a letter ‘V’ to signify that the test would have a picture or an inverted ‘V’ to represent the letter ‘A’ – meaning they would hear a sound instead. In a healthy person without ADHD, after seeing the ‘V’ or ‘A’ the frontal cortex would send signals to other areas of the brain such as visual processing. This gets the person ready to start paying attention on something and focusing. When the electrical rhythm is measured at this time, it should show a drop in alpha wave activity. As expected, when researchers used healthy control volunteers, this is what they showed. In children with ADHD, however, there was no drop in this activity. This suggests that there is some kind of ‘break’ in the connection between the part of the brain that represents attention and the visual processing parts. Researchers think this means that children with ADHD have brains that work differently when getting them ready to receive stimuli, such as the noise or image in this experiment. The experiment could eventually change things for diagnosing ADHD as current diagnosis is based on behaviours rather than electrical patterns. It could also mean more specific ADHD treatments can be developed. In another study of ADHD children, researchers used an MRI to scan the brains of healthy children and those who have ADHD. They found that in ADHD children, the ventral striatum was smaller, especially on the right side. In this part of the brain, a person’s motivation is managed when they begin a new task. It is also maintained until that task is finished. It is thought that this difference represents the signs of ADHD such as being impulsive or hyperactive. We still have much to learn about how the ADHD brain works. Although our main focus has been on treatment and diagnosis through behaviours, we are finally giving more attention to the inner workings of the brain. Now that we have found some key differences, we can hopefully use our understanding to improve the diagnosis and management of ADHD.